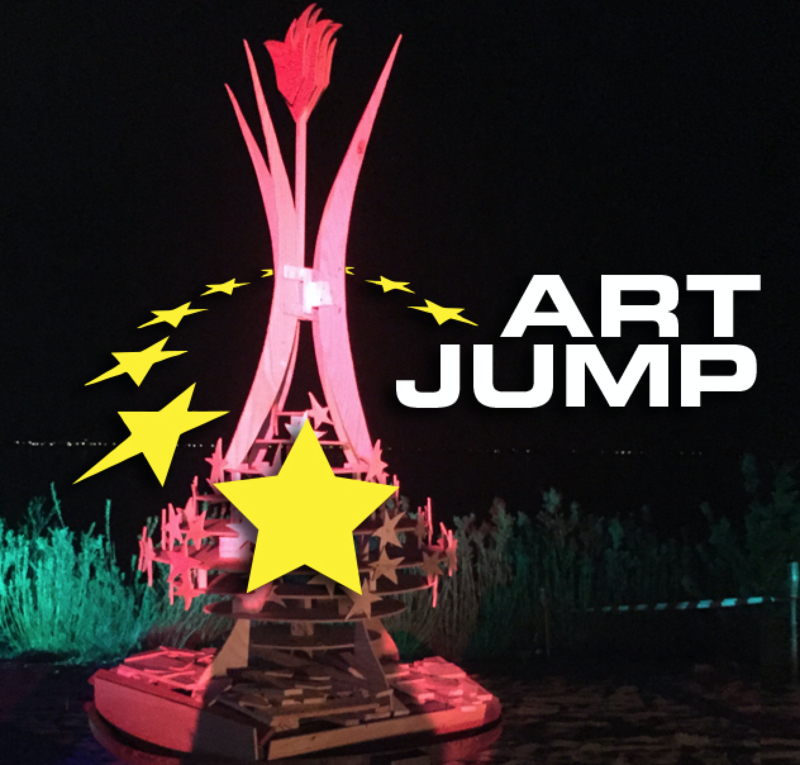 ArtJump is the art-funding project with which Burning Man Netherlands celebrates and stimulates art and the European exchange of art. This grant provides the transport of existing Burn-inspired art to other local burn events. Last year three creative and inspiring artists were awarded with funding that enabled them to share their art across Europe. And this year? We are doing it all over again! Artists that want to take their (existing) art project on a European Tour can apply for an art grant untill March 15. The Grant Final of the ArtJump 2018 will be held on Saturday March 31st. It will be an eve full of great music, (inter)national connections, celebration of art and artists with an exiting finale with a live auction and the presentation of the ArtJump Grants 2018. Next to announcing the winners of the ArtJump-grant, a special auction will be held where amazing gifts will be auctioned to the highest bidder. All proceeds will go to the Burning Man Netherlands Art Fund. Check out the full list of items, select your favourite and bring a-lotta-dough to secure your favourite item! There is no FUNdRAISER without FUN people, so get your tickets now. The ticket price is voluntary based, so you decide what you want to contribute to the Burning Man Netherlands Art fund. You can choose to donate €10,- €25 or €50,- . All proceeds from this ArtJump FUNdRAISER go to this fund to supports (inter)national art. Or you can register for free, if you do not wish to donate… But, you still need to register! Do you want to be present at the ArtJump evening? Get your ticket here! Volunteer! To make this event happen, we need your help with bar, wardrobe, etc. Apply using Vroom.